What do you tell a person who wants to know about Buddhism? What books do you recommend? What authors? I dreamed a lucid dream for the first time in my life last night. Is “letting go” a feminine trait? *A dime has 118 ridges around the edge. *A cat has 32 muscles in each ear. *A crocodile cannot stick out its tongue. *A dragonfly has a life span of 24 hours. *A shark is the only fish that can blink with both eyes. *A snail can sleep for three years. *Al Capone’s business card said he was a used furniture dealer. *All 50 states are listed across the top of the Lincoln Memorial on the back of the $5 bill. *Almonds are a member of the peach family. *An ostrich’s eye is bigger than its brain. *Butterflies taste with their feet. *Cats have over one hundred vocal sounds. Dogs only have about 10. *”Dreamt” is the only English word that ends in the letters “mt”. *February 1865 is the only month in recorded history not to have a full moon. *In the last 4,000 years, no new animals have been domesticated. *If the population of China walked past you, in single file, the line would never end because of the rate of reproduction. *If you are an average American, in your whole life, you will spend an average of 6 months waiting at red lights. *It’s impossible to sneeze with your eyes open. *Leonardo Da Vinci invented the scissors. *Maine is the only state whose name is just one syllable. *No word in the English language rhymes with month, orange, silver, or purple. *On a Canadian two dollar bill, the flag flying over the Parliament building is an American flag. *Our eyes are always the same size from birth, but our nose and ears never stop growing. *”Stewardesses” is the longest word typed with only the left hand and “lollipop” with your right. *The average person’s left hand does 56% of the typing. *The cruise liner, QE2, moves only six inches for each gallon of diesel that it burns. *The microwave was invented after a researcher walked by a radar tube and a chocolate bar melted in his pocket. *The winter of 1932 was so cold that Niagara Falls froze completely solid. *The words ‘racecar,’ ‘kayak’ and ‘level’ are the same whether they are read left to right or right to left(palindromes). *There’s no Betty Rubble in the Flintstones Chewables Vitamins. *TYPEWRITER is the longest word that can be made using the letters only on one row of the keyboard. *Winston Churchill was born in a ladies’ room during a dance. *Your stomach has to produce a new layer of mucus every two weeks; otherwise it will digest itself. ….. Now you know everything ….. 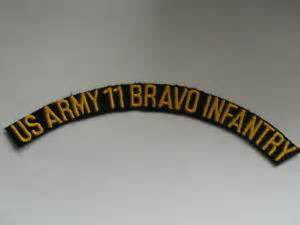 The Pennsylvania license plate read “11B-CIB” and it transformed me back some 40 years when I was in the army infantry running a platoon in Vietnam as a first lieutenant. Love is the only gift I can bestow on you! What gifts can I offer the world today? What insight, wisdom or thought could I bestow on others seeking the healing we need for our mutual pain and suffering? I am All the Love I Aspire to Be Right Now!